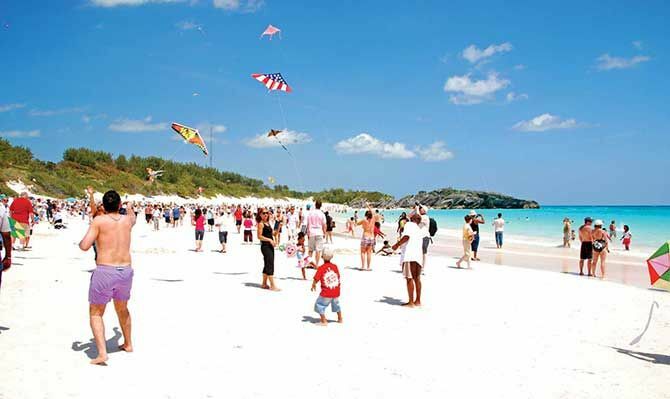 HAMILTON, Bermuda, – The Bermuda Tourism Authority (BTA) says visitor spending has risen for the 10th consecutive quarter. The BTA’s chief executive officer, Kevin Dallas, says while visitors spent less per person than in the same period last year, the increase in visitors resulted in US$96.2 million, an additional $5.6 million spent by visitors to the territory in the second quarter of 2018. Air arrivals were up by 15 per cent in the second quarter, despite a nine per cent drop in visitors from the United Kingdom. 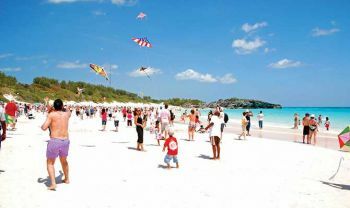 Air arrivals from the United States, which provides the bulk of the island’s visitors, soared by 23 per cent, while Canadian numbers were up by six per cent. In all, close to 300,000 tourists have visited Bermuda so far this year, two-thirds of them by cruise ship. “Even more incredible is that six per cent is the 10th consecutive quarter of growth in visitor spending. The island saw 66,604 visitor air arrivals in April, May and June, compared to 57,796 in the same period of 2017. The second quarter saw 196,521 tourists arrive by cruise ship, an increase of nearly 31,000 on the corresponding period in 2017. Dallas said much of the arrival increase came from Boston, which saw a 66 per cent rise in air arrivals in the first half of the year. Hotel occupancy was also up in the quarter, with hotels reporting 78.3 per cent occupancy — a 6.5 per cent increase on the same period last year. “The first half of the year was nothing short of spectacular compared to where we’ve been in recent history. We remain mindful that with a traditionally high-volume third quarter there is limited capacity for further growth. We’ll need to work with our stakeholders to finish the year as strong as we started it,” he said. The BTA was created by the then ruling One Bermuda Alliance in late 2013, to run the industry in place of the disbanded Tourism Department. Before the BTA was formed, the island’s once powerful tourism industry had been in the doldrums for years.